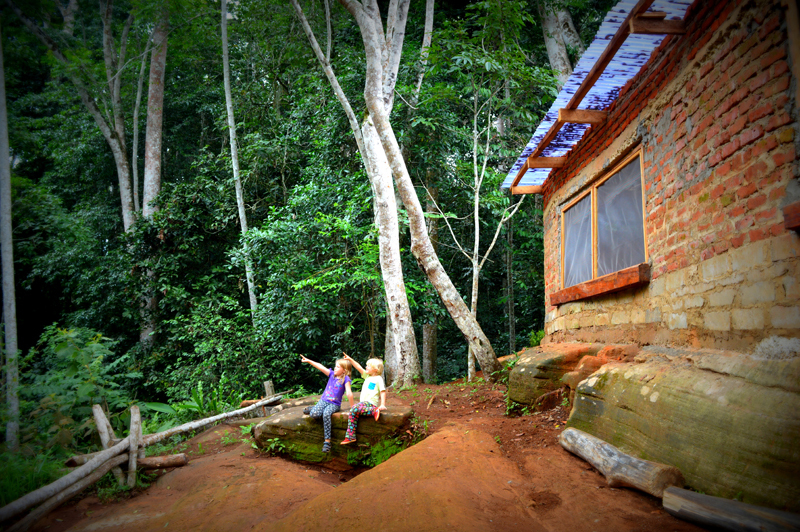 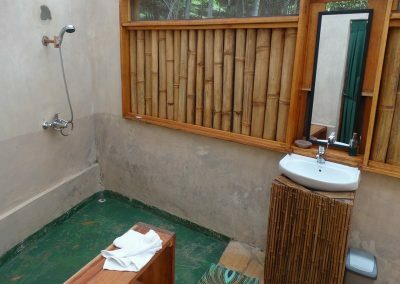 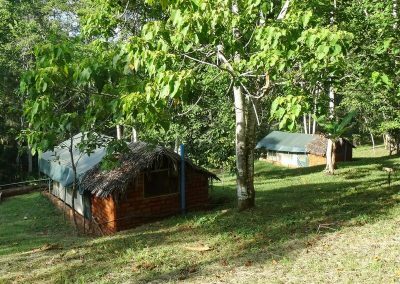 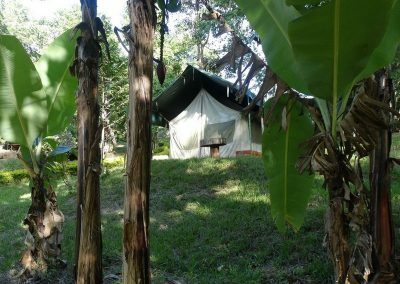 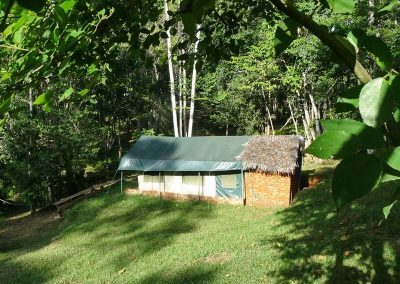 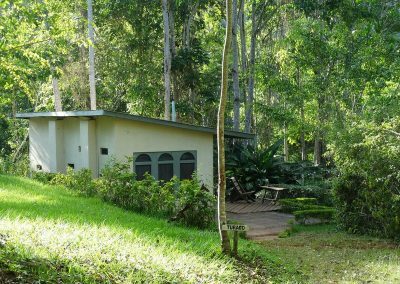 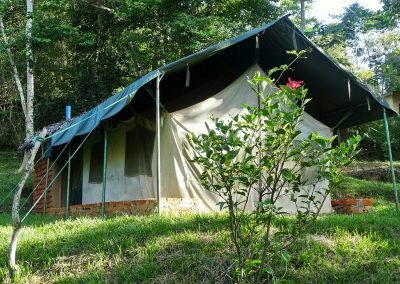 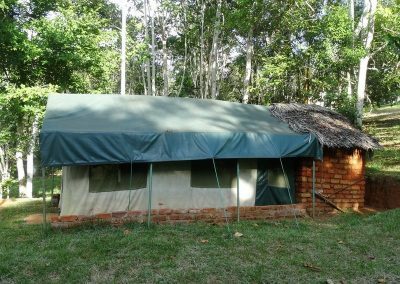 Amani Forest Camp has three en-suite cottages, three en-suite tents and three non en-suite dome tents. 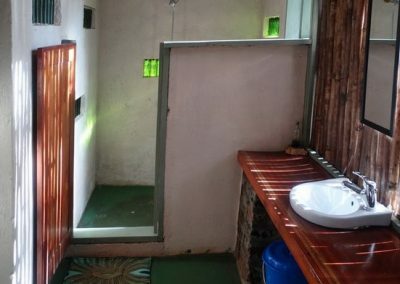 Each unit has solar-power lighting. 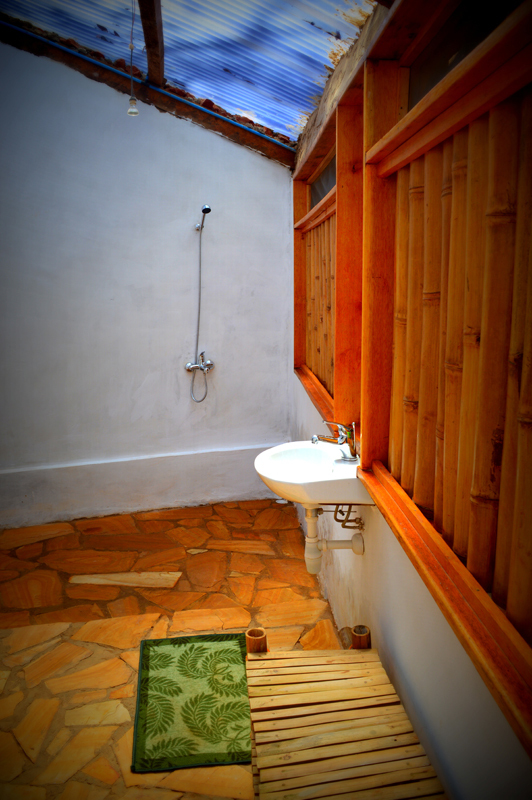 In our three en-suite cottages there is a socket for charging phones and camera batteries. 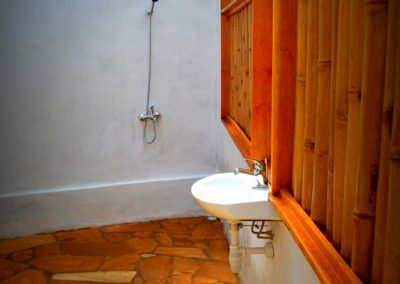 Our en-suite units all have hot water supply. 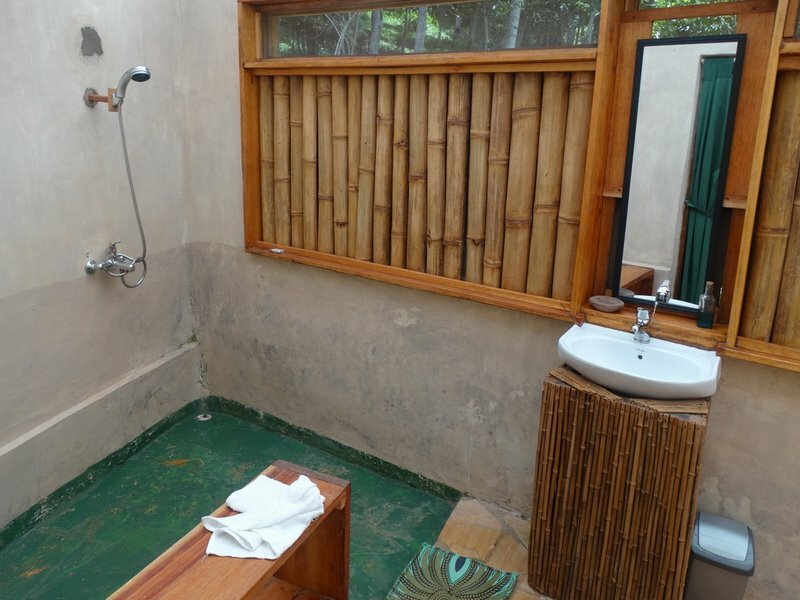 We also supply hot water in our public showers for those opting to stay in our dome tents. 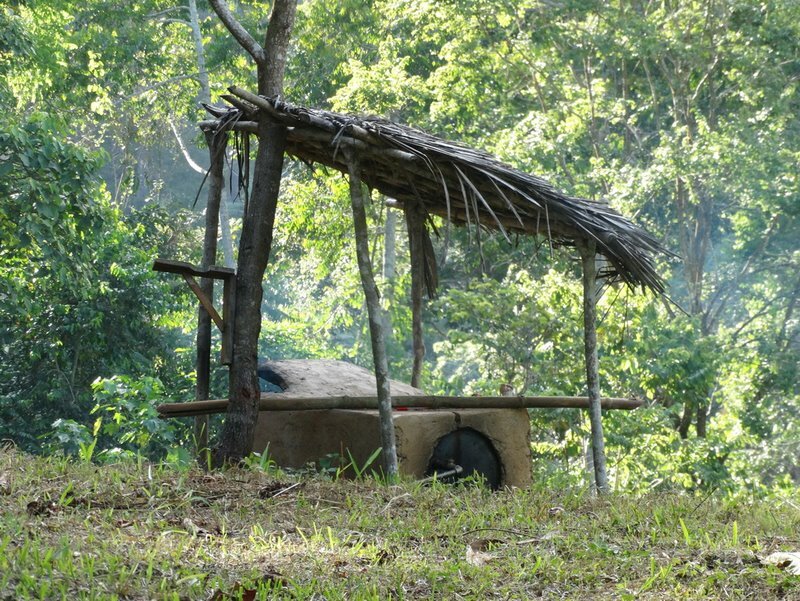 All our meals are prepared fresh. 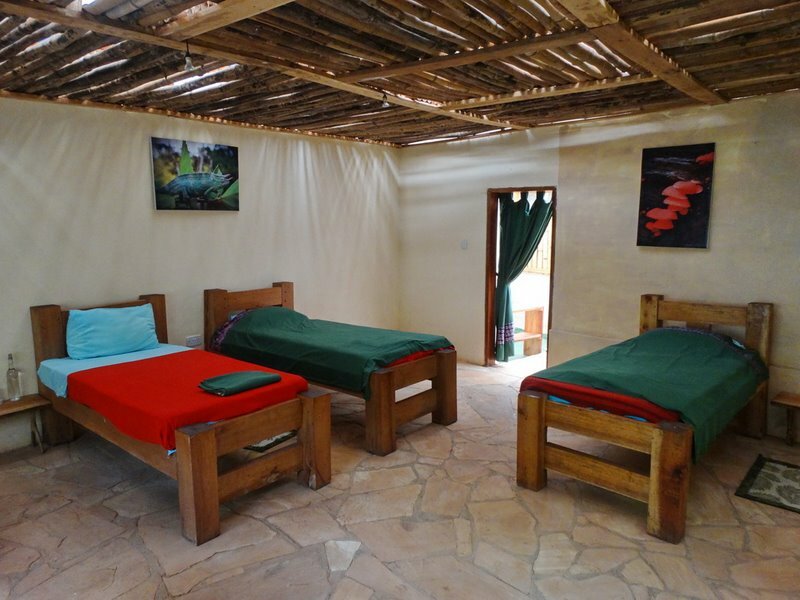 We cater for individual needs as well as we can. 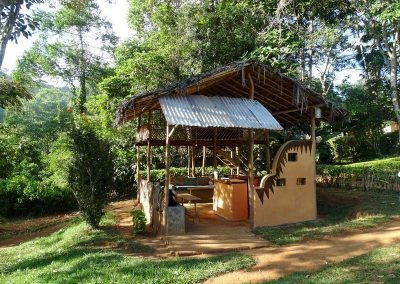 Each morning is a breakfast feast, served with Tanzanian coffee or tea. 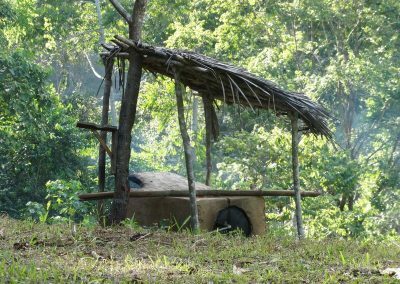 Lunch can be served at the camp or a picnic lunch can provided while on a hike and a three course dinner is served in the restaurant. 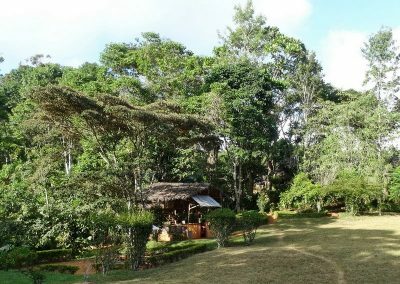 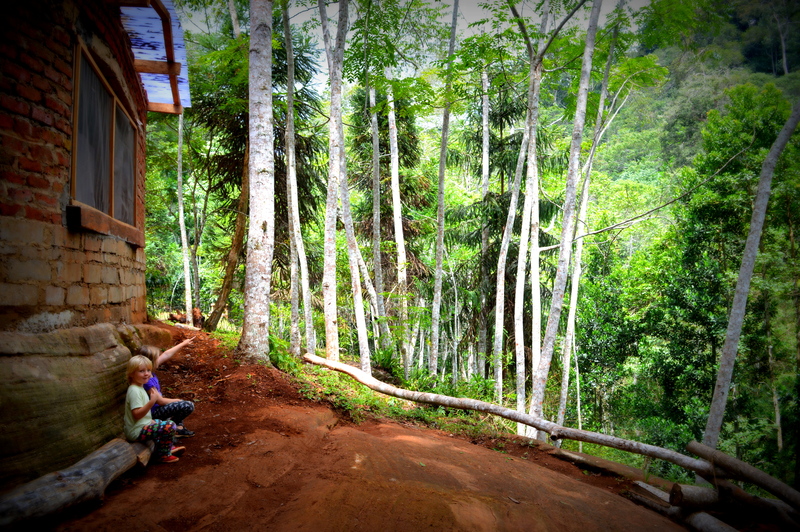 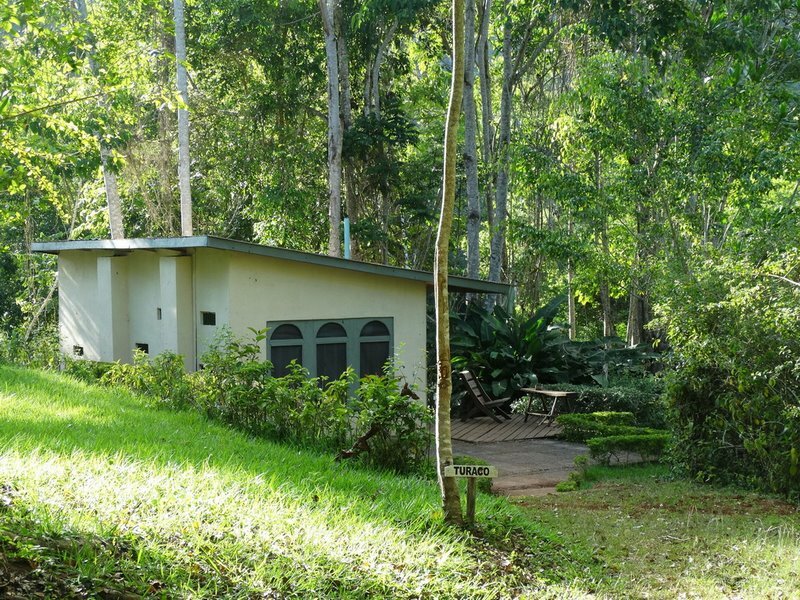 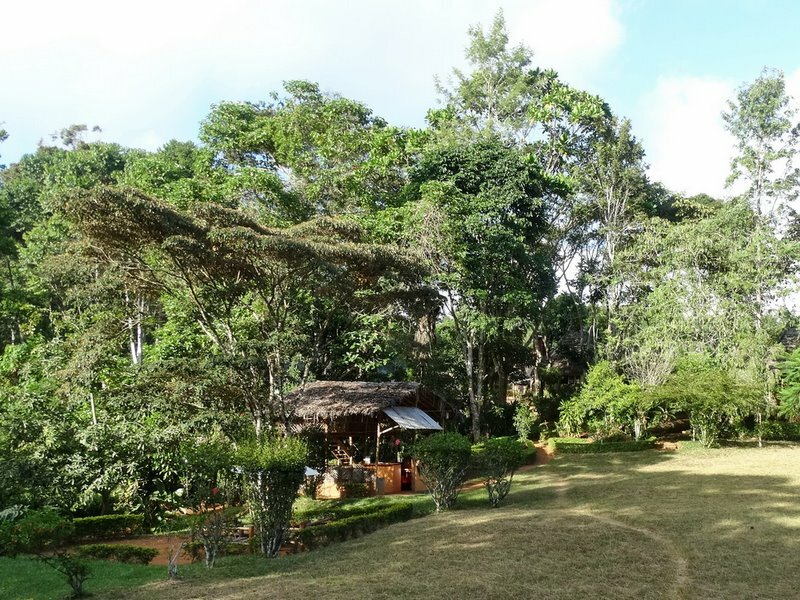 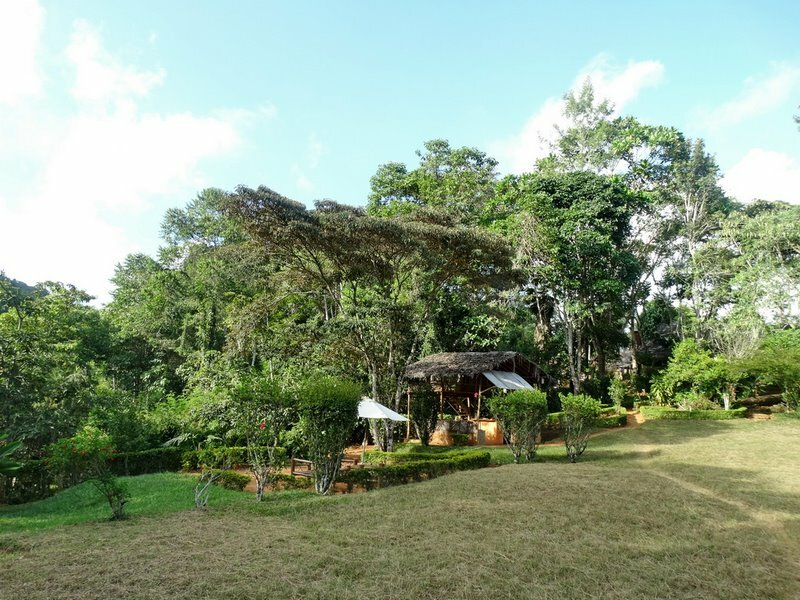 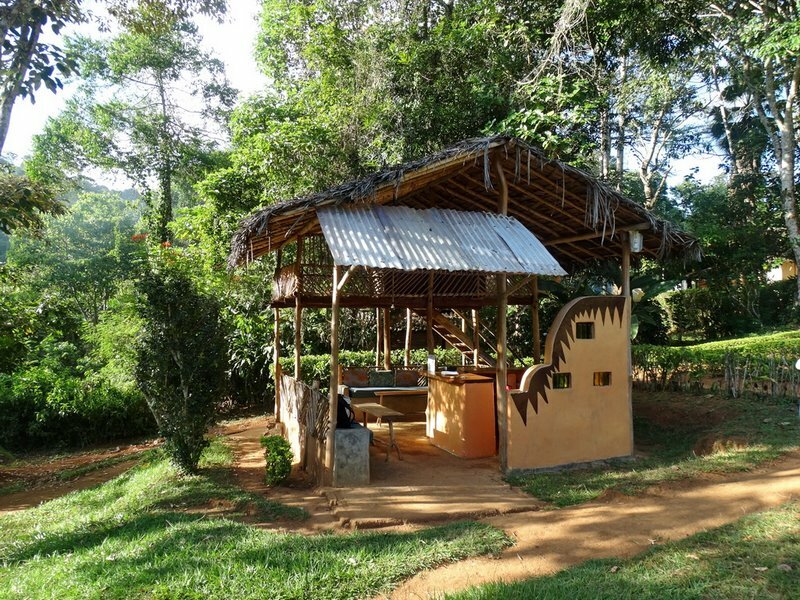 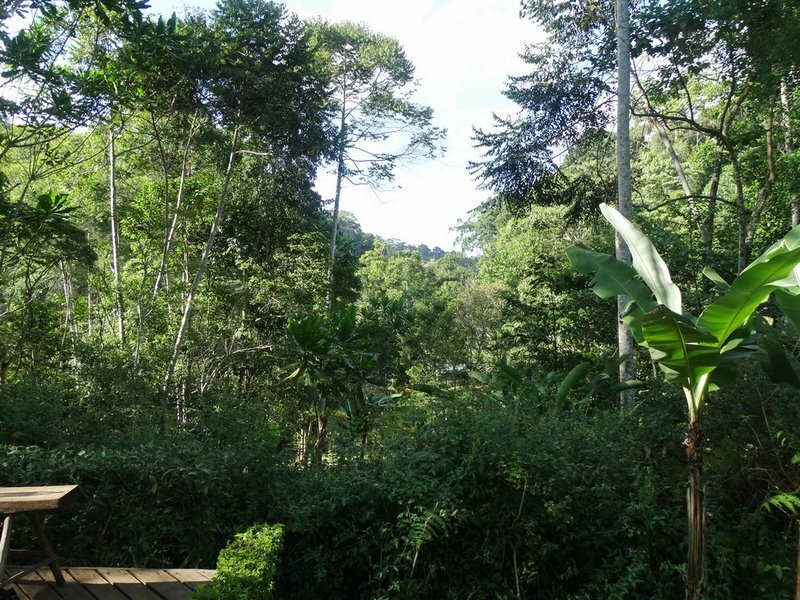 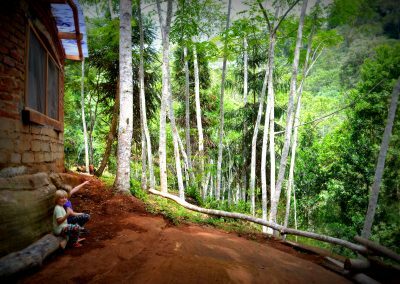 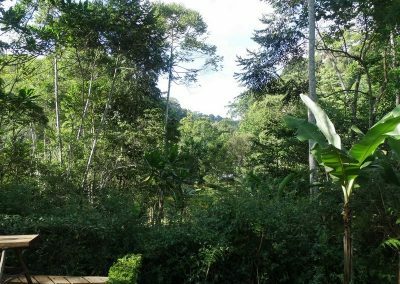 Our “Canopy Bar” is well stocked and provides a great venue for sun-downers with a view of the forest. 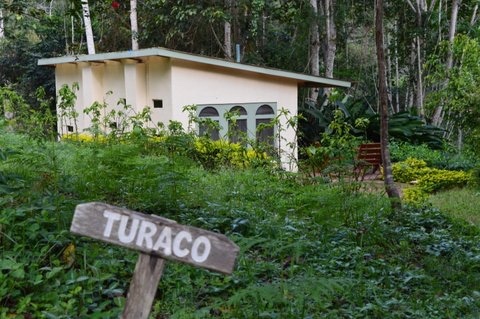 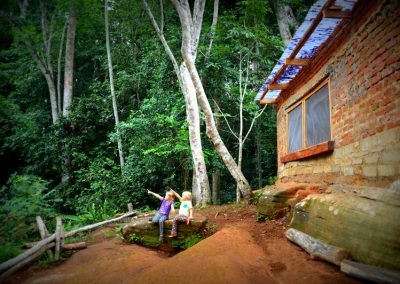 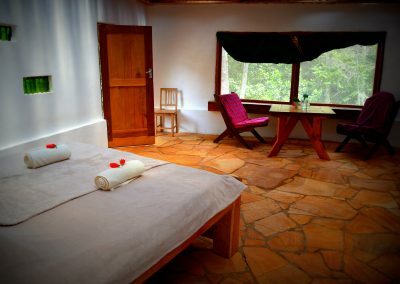 Perched on the top of the cliff, overlooking the valley and stream, these 2 spacious en-suite rooms can accommodate up to 4 people with a large window overlooking the forest. 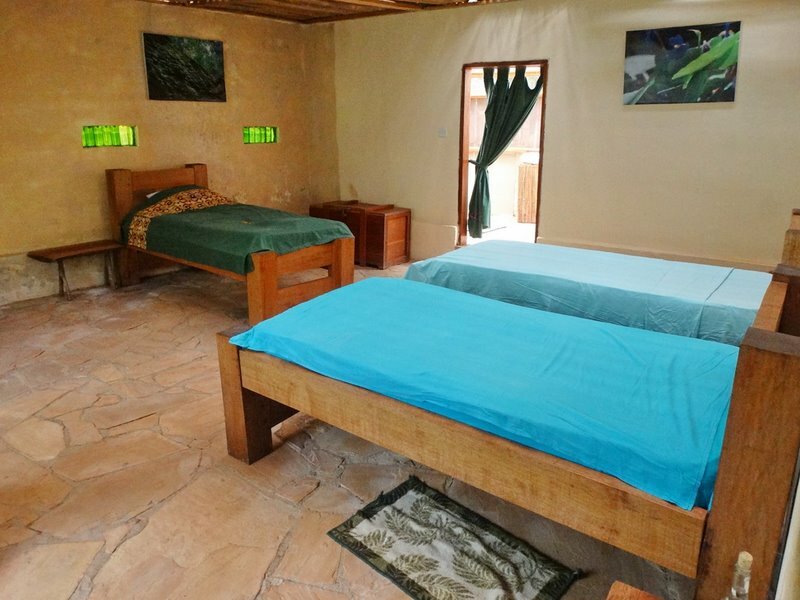 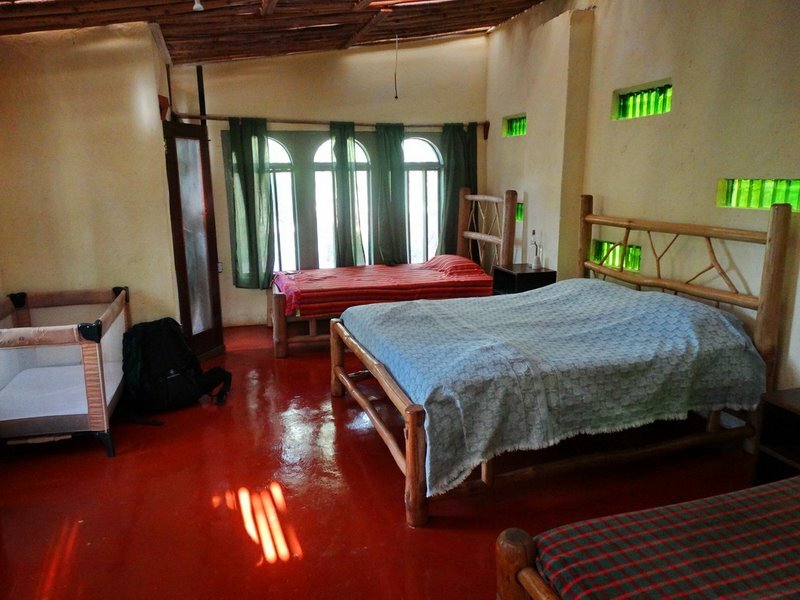 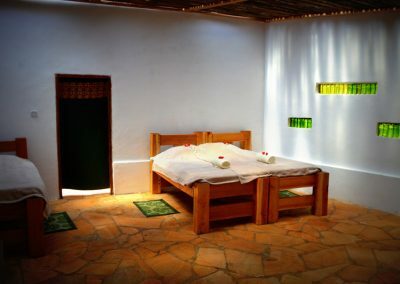 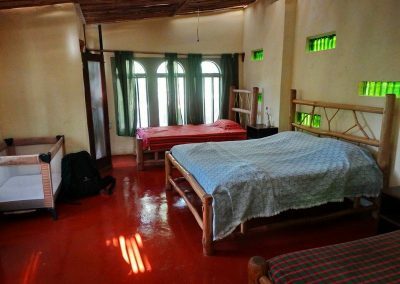 The rooms have the capacity to be inter-connecting, ideal for larger families and groups. 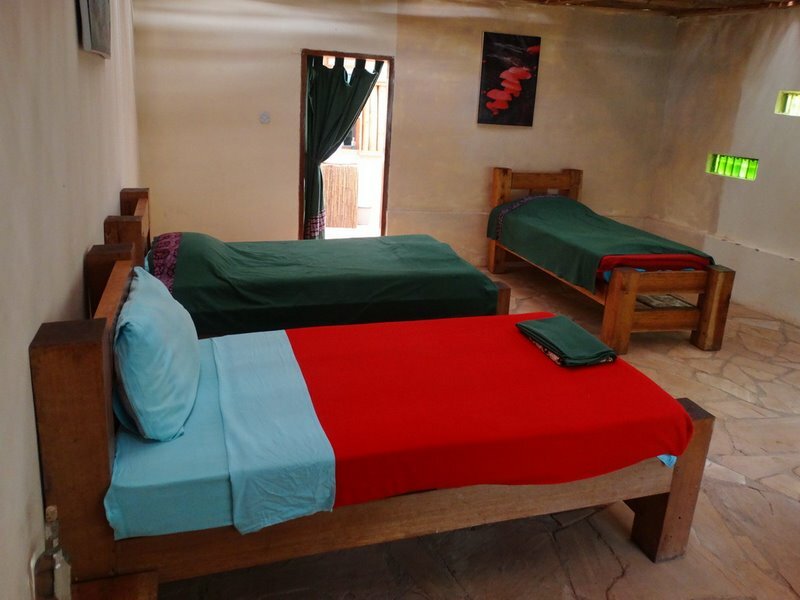 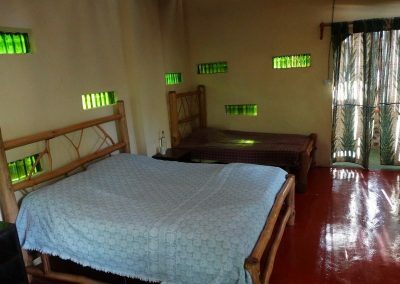 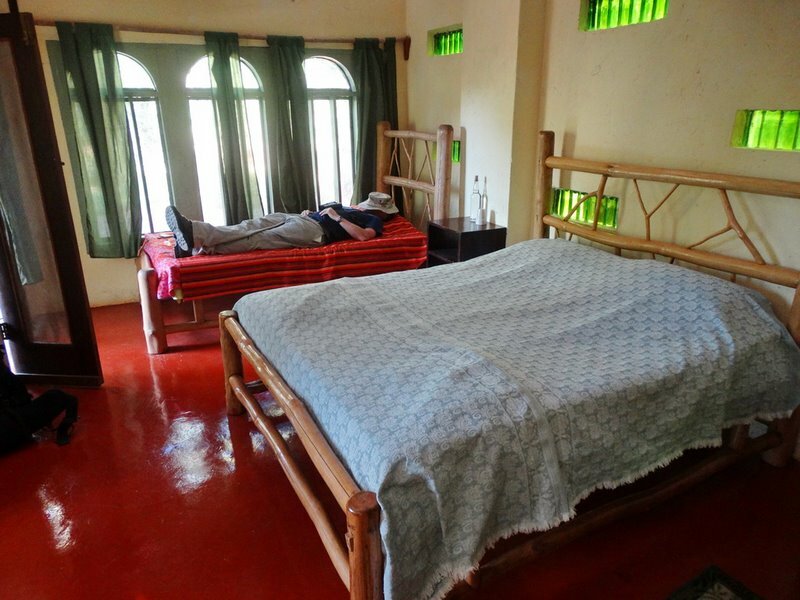 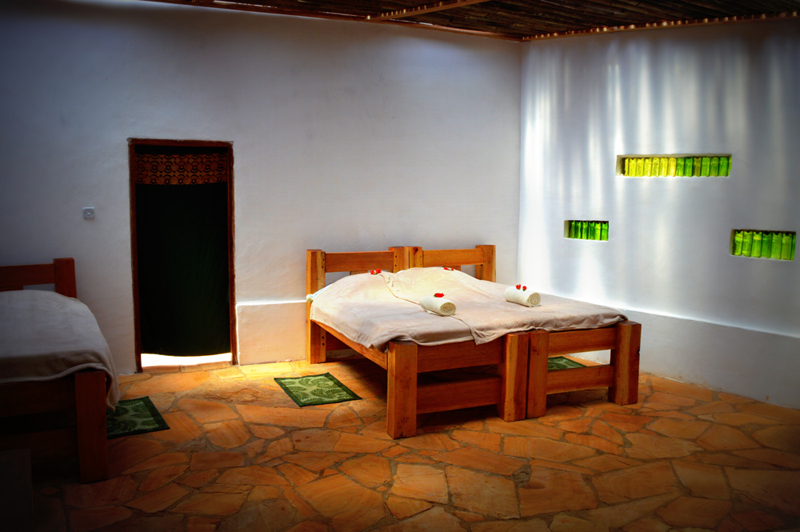 They are pleasantly furnished with comfortable beds, table and chairs. 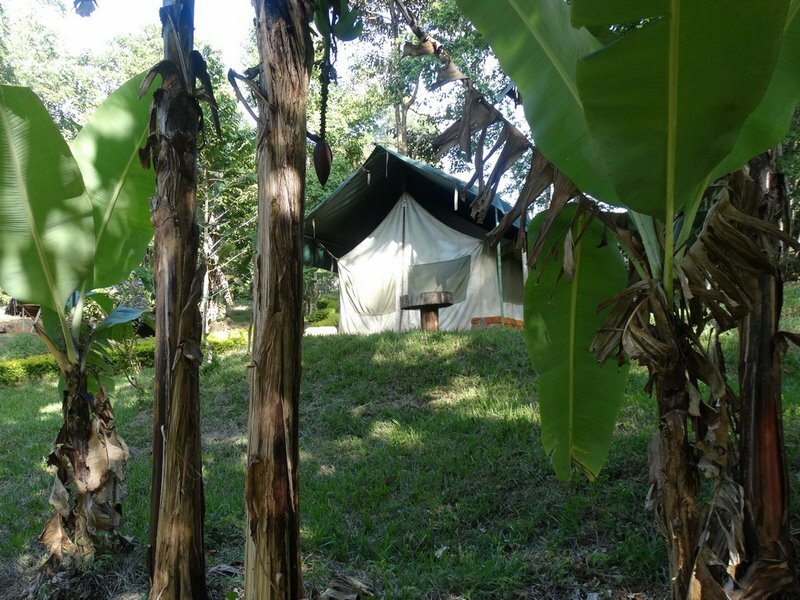 Our 3 en-suite tented rooms are spread out around the grounds. 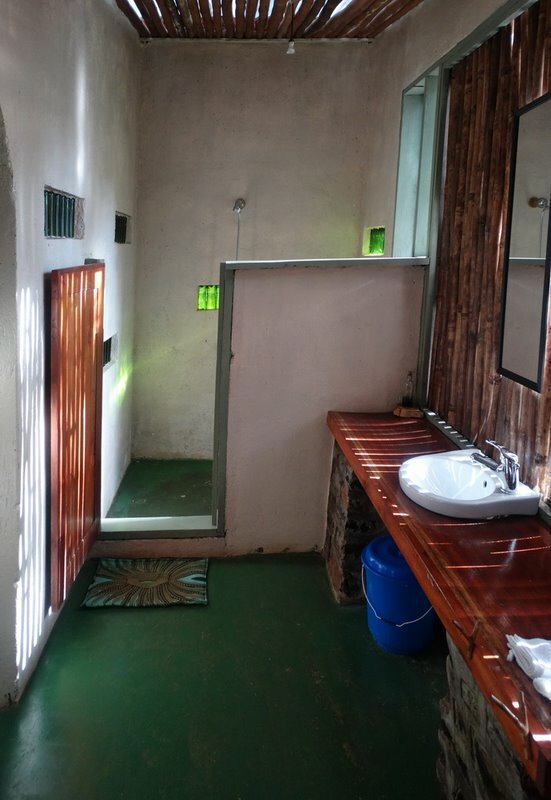 Each unit has Solar power lighting and a socket for charging phones and camera batteries. 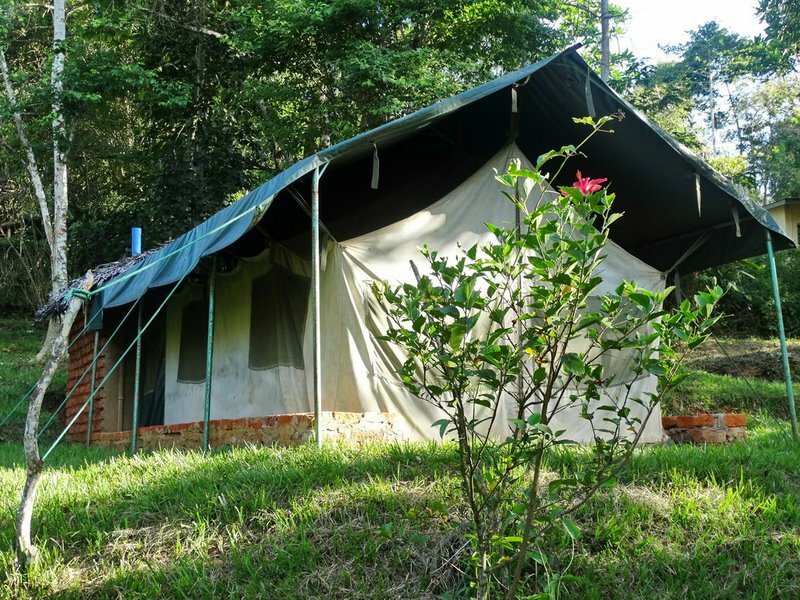 Our en-suite tents all have hot water supply.